Ahh trailers, we all love them. They’re the reason we get to the movie session on time, because we don’t want to miss them. We can spend hours upon hours on the computer delving deep into the trailer vortex until we’ve seen every film that is coming out. Trailers ultimately set our expectations for a film, after viewing, we already decide in our minds whether we think a film will be good or not. Most of the time, a good trailer is a sign that the film will be even better however; there are those few occasions where a trailer lets us down. We’re filled with hype and promise only to be thoroughly disappointed, like when you meet a date who looks nothing like their online photo. 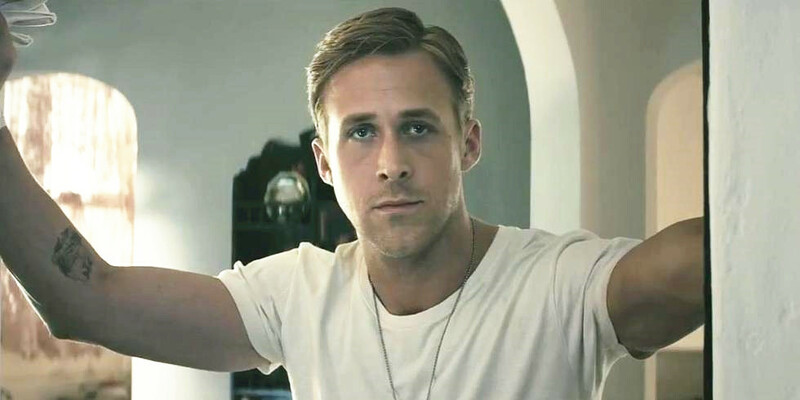 In honour of the over promised and under delivered, here are ten trailers that are better than the actual film. Horror is a very hit or miss type of genre and generally speaking you can usually tell exactly what you’re in for by the trailer i.e. will it be psychological, will it be slasher etc. When the trailer came out for José Pedro Lopes’ debut The Forest of the Lost Souls, audiences were left with an art house meets grindhouse vibe which made a good impression to say the least. After witnessing so many big name CGI horror films throughout the year (It, Annabelle: Creation, Jigsaw) the trailer for The Forest of Lost Souls provided a different approach, a refreshing entry to the genre. 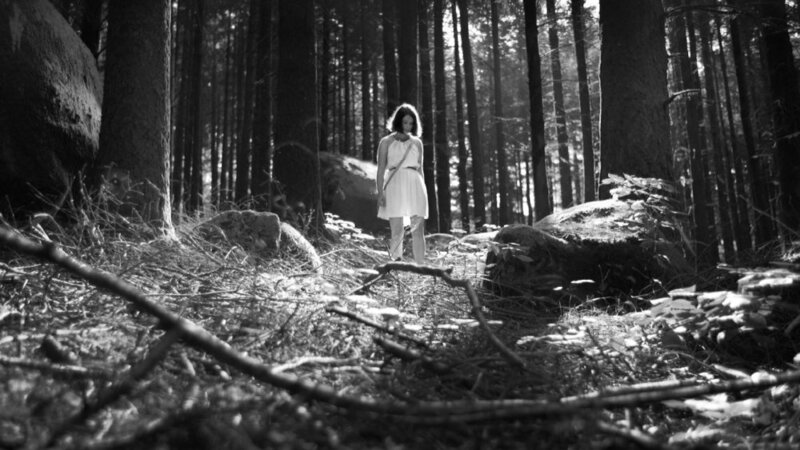 Beautifully shot in black and white, intriguing bits of dialogue, and a pulsating build up of tension was enough to get us excited for what we thought would be a Portuguese horror gem. Regrettably, the film did not live up to those expectations. Rather than a sinister and curious indie horror flick, we were instead presented with what feels like a student film that went on for too long with some poorly executed slasher elements sprinkled throughout. The Forest of Lost Souls feels like it never knows what type of horror film it wants to be and focuses too heavily on style over substance. Whilst the trailer showed some interesting conversations between characters, the actual film itself had some of the worst dialogue of 2017 combined with some questionable performances. At least the cinematography lived up to the off-kilter atmosphere portrayed in the trailer. Everybody loves a feel-good, coming of age story. There’s something about them that strums at the heart-strings and leaves you smiling from ear-to-ear and that’s exactly what the trailer for Garth Jennings’ Son of Rambow does. It depicts the film as a quirky, charming childhood tale that will be full of heart and laughs, much like more recent films such as Submarine or The Way Way Back. It’s the type of trailer that warms the soul, an innocent look into the world of boyhood friendship told through an original and creative lens. 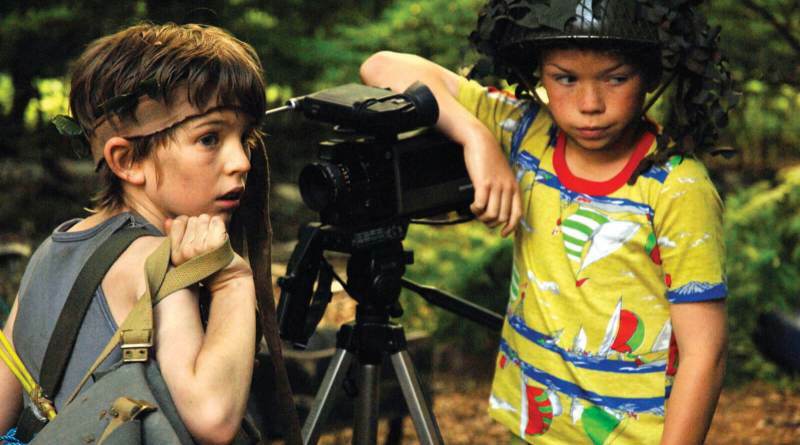 With the right balance of imagination, fantasy and comedy, Son of Rambow looked destined to join the ranks of childhood classics such as Stand By Me, The Sandlot, and The Goonies. There is no denying that Son of Rambow has heart and there is a sense of charm to it however; it doesn’t reach the same level of delight as the trailer. Set at an uneven pacing, the story lacks the emotional drive that we saw in the trailer and that feel-good charm we expected never really reaches the surface. So many elements of this film felt clumsy, especially the religious parents, it’s as if this element was just thrown in there with no real purpose. The premise had so much potential and the trailer generated high hopes but unfortunately Son of Rambow never really finds it’s own style and instead feels like a film that came third in a Wes Anderson lookalike contest. There certainly hasn’t been a shortage of war films over the years and there is sure to be plenty more to come. Generally speaking, war films tend to follow a similar type of formula, a group of gritty, brave soldiers become wounded heroes in their fight to stay alive against a savage enemy, or something along those lines. This formula has worked for many war films in the past however; it’s starting to become tiresome. That’s why, when the trailer for Monuments Men was released audiences were intrigued as it focused on a different war story. These men weren’t soldiers, they were out-of-shape art lovers tasked with finding and preserving art during WWII. The trailer had charm, it had passion, it was interesting, it was engaging and most of all it had one hell of a stellar line up. As this list will continue to prove, an amazing cast and a good trailer doesn’t guarantee a great film. You can have all the best actors in the world but they’re useless if the script is poor and that’s exactly what happens with Monuments Men. The trailer suggests that we have some real characters to latch on to however; with such a mundane script we are left with no real character development which leaves us feeling nothing for the people on the screen. The premise is so compelling as is the trailer, but this doesn’t transcend to the screen, the story is all over the place and often falls flat as does the attempts at humour. You’d think with actors such as Bill Murray, John Goodman, George Clooney and Matt Damon you’d manage to fit a few laughs in but instead we’re served jokes that feel out of place for majority of the film. 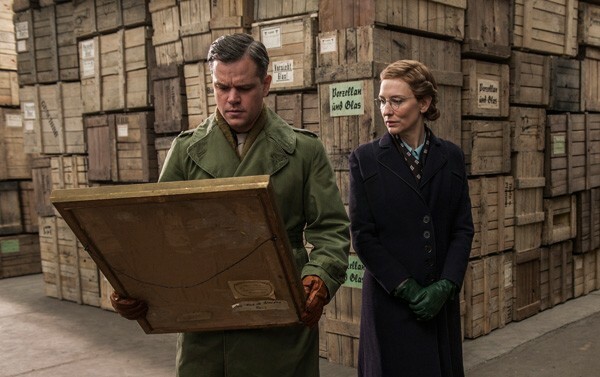 Monuments Men had so much potential, it’s shame it never came close to reaching it. The hype was real when the trailer dropped for M. Night Shyamalan’s Lady in the Water. Fans were psyched and there was real hope that Shyamalan would make up for his previous effort The Village and instead deliver a knockout similar to The Sixth Sense or Unbreakable. Much like all of Shyamalan’s trailers, Lady in the Water was shrouded with a mysterious eeriness that hooked us right in. Paul Giamatti as the lead was enough to get anyone excited and after he says the words ‘Welcome to the Cove’ it really felt like we had something special on our hands. What follows is a trailer full of suspense that blends the world of fantasy and horror, set in the environment of a harrowing motel. This was the type of contemporary supernatural story we wanted to see from Shyamalan… or so we thought. Whilst the trailer dialled up tension and sold us a mysterious fantasy/horror story, the film ended up delivering little suspense and a story that was so implausible and far-fetched that it was silly rather than intriguing. There was so much potential for a film with such a unique premise but instead we were left with an hour and 50 minutes of nonsensical plot points and frustrating plot holes, not even Paul Giamatti was enough to save this sinking ship. Was this Shyamalan’s effort at self parody or was it an unintentional parody? Which ever it was, it didn’t work. So, unfortunately the disappointing streak continued for Shyamalan and would so until 2015s The Visit which saw a small step in the right direction for the writer/director’s road to recovery. Following the release of his 2013 film Side Effects, Steven Soderbergh announced that it would, in fact, be his last film, the prolific film-maker would be retiring from the director’s chair for good. So, you can only imagine the excitement when, four years later, the trailer for his comeback film hit our screens. Fans were thrilled to see the Ocean’s 11 director venture back to the heist genre, except this time it looked like a much wilder ride, jam-packed with more laughs and more adrenaline than almost anything he had done before. After watching the trailer, it was obvious why this would be the film to bring Soderbergh out of retirement, not to mention the amazing cast that was assembled for it. It’s safe to say anticipation was through the roof. 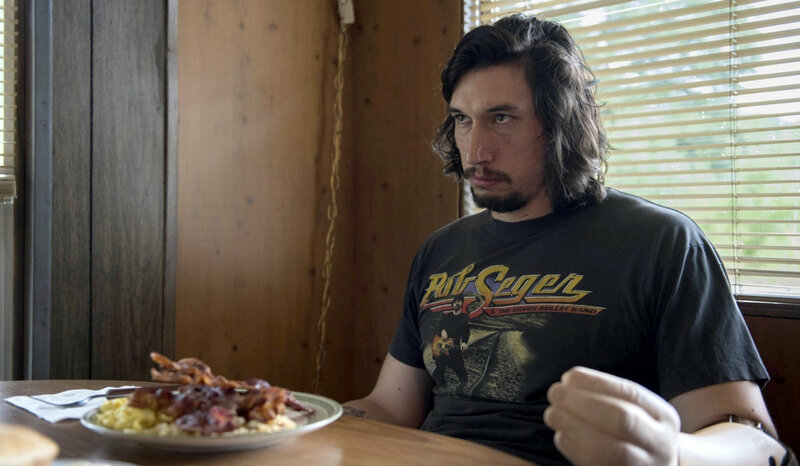 However; what comes up must come down and that’s exactly what happened to our anticipation upon viewing Logan Lucky. The trailer showed true promise in terms of it’s comedic potential but the film tries so hard to be funny it ends up missing the mark completely. The characters, along with their dialogue, are quite bland which allows for hardly any emotional stimulation or anything engaging to happen for that matter. The trailer was packed with so many appealing moments which seems bizarre as the film had hardly any. Not even the charismatic cast could bring this script to life, instead it feels like they’re all just having a big ol’ joke rather than producing something of quality. Maybe Soderbergh’s comeback was a little premature, we could have waited a few more years.